Step 1. Download the suitable firmware through a browser. 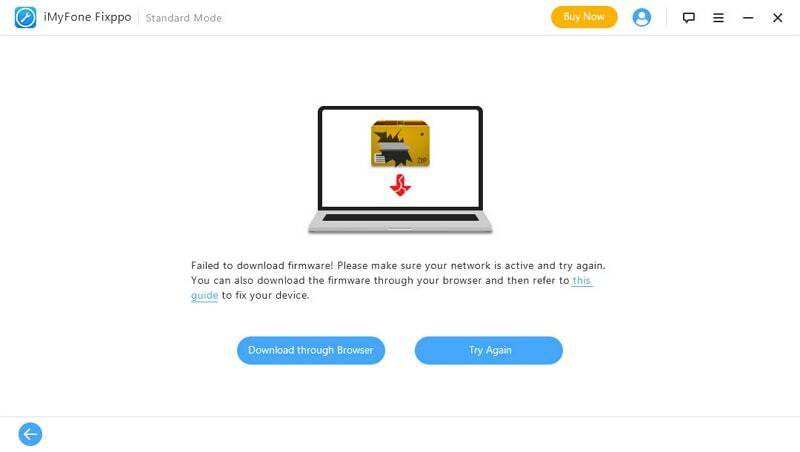 When the program failed to download firmware for you, you can click the button Download through Browser to download firmware through a browser. Step 2. 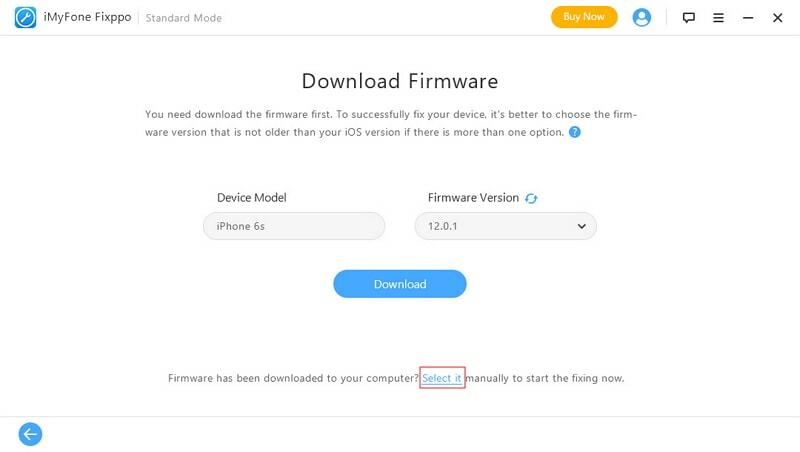 Manually select the firmware downloaded to fix your device. After you download the firmware, if you have closed the program, then reopen it and start from the beginning. If you are still on the failure window, then go back to the window shown as below. You can see "Firmware has been downloaded to your computer? Select it manually to start the fix now" at the bottom. Click Select it and choose the firmware you have just downloaded. After you confirm that, the program will start to extract the software and proceed to fix your device. Please free up some space on the disk where you install the program. The program is installed on the disk C: by default. If you've change the path for installation, then go to the disk where you actually installed the program. Please make sure there is more than 7GB free storage on that disk. Otherwise the program cannot finish downloading firmware.